Visiting famous landmarks around the world is a dream come true for most of us. Seeing those structures live and beyond the pages of a history book is an amazing experience. But did you know that many of these world-famous landmarks have secrets? Who knew that finding Easter-eggs within famous landmarks would be just as fun as experiencing them for the first time! Knowing these secrets will surely excite the travel-bug within you. Here are secrets of 7 such world-famous landmarks unveiled! Seeing the massive Eiffel Tower is amazing all by itself. Just imagine the view from the top! But surprisingly there is a secret apartment hidden in the topmost part of the tower. Gustave Eiffel, while creating the tower decided to build an apartment just for himself. people offered obscene amounts of money to Gustave just to stay one night, but he always declined. He did allow very special guests to visit such as Thomas Alva Edison. The Lincoln Memorial enshrines the memory of U.S President Abraham Lincoln. There is a hard-to-spot door on the side of the monument that leads to the staircase. And the staircase leads to a cave-like underground hall. The cave is full of stalactites and r-rated graffiti by the workers who built the monument in the 1900s. This graffiti was classified as ‘historical graffiti’ by the National Park Services. Throughout history, Trafalgar Square has seen protests, marches, riots and various forms of looting. Famous riots such as Black Monday and Bloody Sunday took place in this very square. It’s quite understandable why the government would want to place a police presence near the square. The station – located at the base of a street lamp – looks more like TARDIS from Doctor WHO and can house one policeman. It was built in the 1930s just to keep an eye on the square, now it serves as a storage space for the Westminster Council Cleaners. Sad news for you travel bugs – as of 2016, the Washington Monument was closed indefinitely so that the elevator inside can be repaired. Although there is a mini version of the monument nearby you can visit. The 12-foot-tall replica – also known as ‘Benchmark A’ sits under a manhole cover. This location is used as a Geodetic Control Point – it helps synchronize maps and monitor the country’s landmass It was placed in the 1880s above ground but as the Earth’s surface shifted over time, the monument went under. It’s still sinking at 0.5 millimeters per year. One of the history’s most famous landmarks The Colosseum attracts over 4 million tourists every year. However, many of them have never walked the secret tunnels that lie underneath the structure. The tunnels (also called hypogeum) was used as a staging area for animals or gladiators who were about to compete in the arena. The Colosseum started its construction under the rule of Roman emperor Vespasian, but it was completed much later in 80 A.D. when his son Titus took over. Titus’s younger brother Domitian added the tunnels as he had a fondness for brutal events. The hypogeum was opened to the public in 2010. Before an attack on the Statue of Liberty in 1916, visitors could travel not only to the crown but to the torch as well. On July 30, 1916, during World War I a large explosion by German spies badly damaged the statue’s arm and torch. The explosion was so big that the entirety of the Ellis Island had to be evacuated. The damage incurred wasn’t fully repaired until 1984. A replica of the torch was placed in Lady Liberty’s hand and the original can be seen in the lobby of the monument. 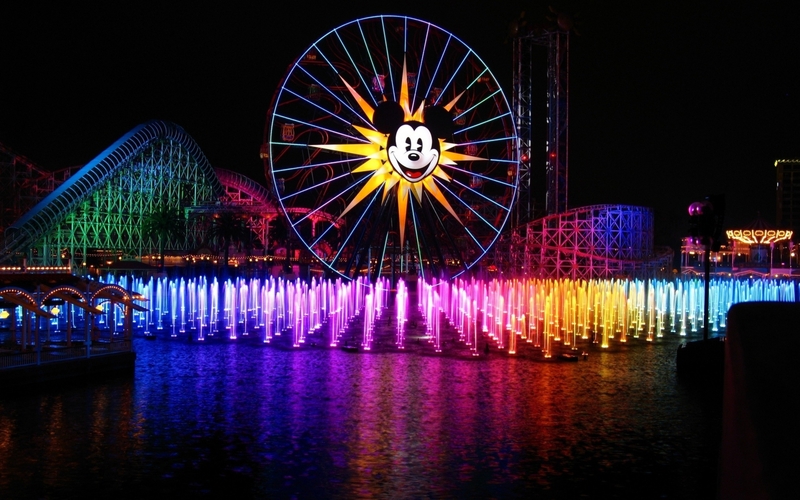 Although Disneyland is not a monument, it still attracts hundred-thousand people from all over the world. If you think the food or souvenirs are expensive, then you probably missed the exclusive Club House inside Disneyland called ‘Club 33’. The membership alone costs an astounding $25,000 with $12,000 yearly fees on top of that! This was designed by Walt Disney, so he could entertain special guests, however, he passed away before the inauguration of the club. The club has a strict dress code and celebrities like Tom Hanks, Jack Nicholson, Ginnifer Goodwin and Vanessa Hudgens are seen frequently. Hudgens recently shared a few pictures of the toilet in Club 33 from one of her visits. She described it as magical as Cinderella’s castle!